Sorry it has been so long since my last post! The new semester has definitely started and it is already crazy busy! But, I finally got the chance to share this awesome recipe with you! Hope you enjoy! One of my favorite snacks lately has been granola! I bought some in the natural foods section of the grocery store, but it’s too expensive for my college student budget. 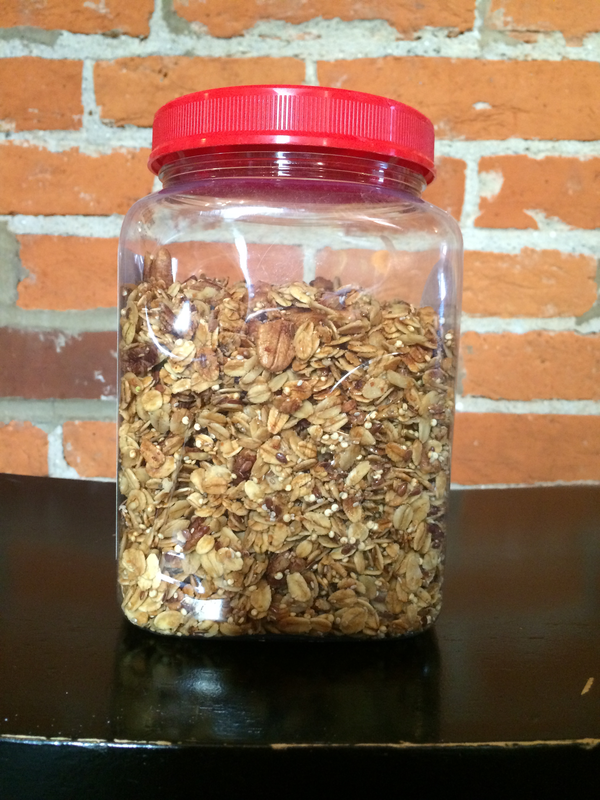 I found a recipe/guide online about “How To Make The Best Granola Ever” and I conclude that it really is the best granola ever! The first time I attempted to make it I plugged the ingredients used into the recipe calculator to see the nutrition content. It had 228.6 calories, 14.6 grams of fat, and 10.3 grams of sugar! I decided to tweak the recipe to reduce the amount of fat and sugar. To do this I reduced the amount of pecans, maple syrup, and coconut oil. I also added an egg white because it makes the granola clump together and reduces the amount of oil needed. 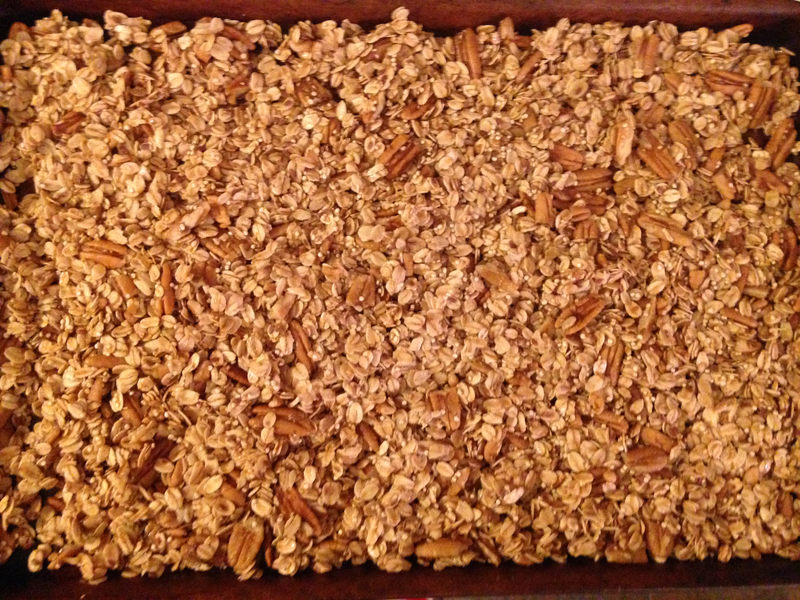 In the end my granola turned out to be delicious and healthier than my original batch. Mix together quinoa, flax seed, wheat germ, chia seeds, and oats in a large bowl. Then add pecans and sea salt. In a separate bowl mix together maple syrup, honey, and brown sugar. Then add to dry ingredients. Stir in coconut oil and egg white. Break apart after cooling and store for up to two weeks. I am so excited to try this recipe. My preschoolers will be making yogurt parfaits for the Letter Y. 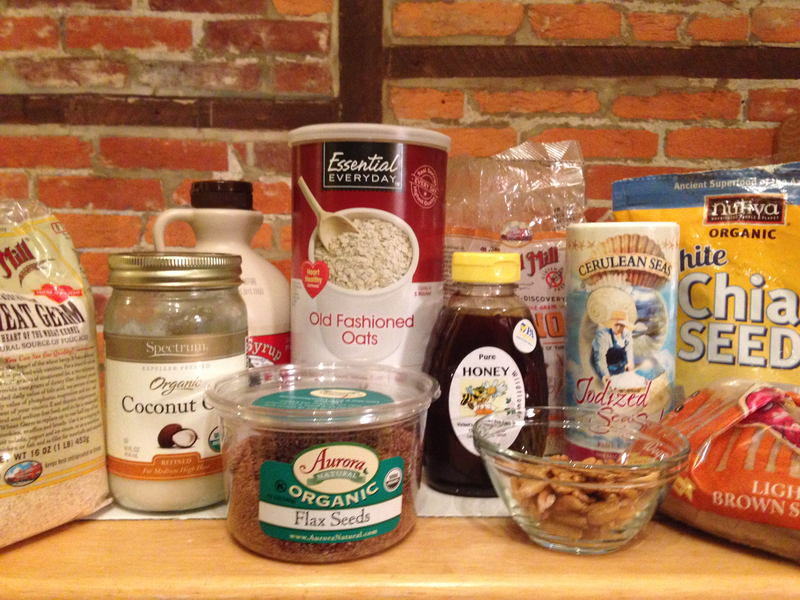 We are going to make this granola as a class to put on the top of the yogurt. Thanks for the great idea! I will have to send you a picture. We love to cook in the classroom! I just made it for the third time substituting pumpkin seeds (pepitas) for the pecans! I tried this again, doubled the egg white and got more clusters! Yummy!